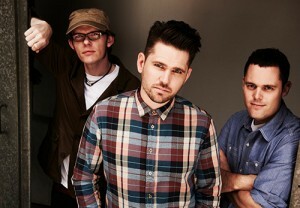 One of the finest indie pop groups of the last decade, Scouting for Girls formed in 2005 in London. Their name is a take on the name of the early 20th Century Scouting Handbook called: Scouting for Boys. The trio of Greg Churchouse, Peter Ellard, and Roy Stride signed with Epic Records in early 2007 and released their first single, ‘It’s Not About You’ in June of that year. Their debut album reached number one in the U.K. album charts later that year thanks to the popularity of ‘She’s So Lovely’, ‘Elvis Ain’t Dead’ and ‘Heartbeat’. They released their second album, Everybody Wants to Be on TV, in 2009 on Epic. In 2012 they issued the single ‘Summertime in the City’, which was part of their third studio album, The Light Between Us. The following year they compiled their Greatest Hits, which featured four U.K. Top Ten singles from the band’s three albums and included new material and single ‘Millionaire’. They played London’s Royal Albert Hall, and went on to play a host of summer festivals in 2014. They have been nominated for four BRIT Awards, an MTV Europe Music Award and an Ivor Novello Award.